Most bourbon sites offer you endless reviews of every obscure release on the planet, but give you no guidance on what you should personally include in your home bar. We aim to fix that today! 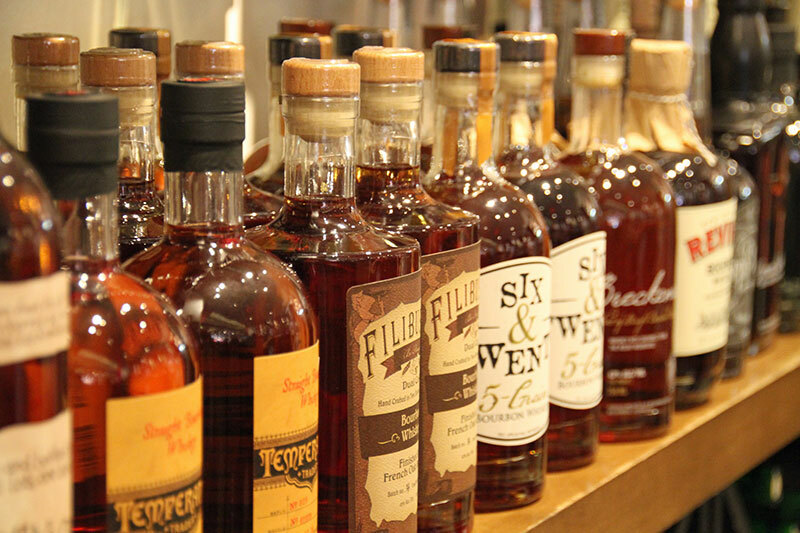 Read on and learn the secrets of stocking the perfect home bourbon bar! If you don’t live in or near Kentucky, your ability to put together a truly unique bourbon bar will be restrained. Sure, there are great micro-distilleries around the country that you could support, but nothing comes close to the generations of experience that go into Kentucky bourbon barrels. If money aint a thang, fly out here to Kentucky, do every distillery tour and grab their super secret limited releases. But for us mere fiscal mortals, location plays as much a role as price. I do advocate splurging on legitimately rare bourbons, but I do not advocate chasing every new, hyped up release. Oftentimes, people will pile atop one another to grab the first taste of a product coming out of their favorite distiller, but that doesn’t mean the release is any better than their regular lineup. In fact, I have had some hyped up releases that tasted like rat poison – with similar effects I’m looking at you, Woodford Reserve Four Wood. An impressive home bourbon bar shouldn’t cost you a second mortgage. To establish a respectable lineup, look to spend about $250 bucks over the course of a year, or about $20 a month. If you are a daily drinker, add about 20 percent to that number to account for your resupply costs. Your core collection are the two or three easy to drink everyday bourbons that deliver great value and can be drank neat or as a cocktail. These will lay the foundation of your bar. We aren’t going to get into single barrel versus small batch here. Rather, when putting your collection together your focus should be on the mash bill to give you and your guests a full spectrum of bourbon characteristics. One of the bottles should be your “daily sipper”. Throw in one of the wheated and one of the rye bourbons from our list below and you are set. These lists don’t take into account annual releases and special releases, since they are usually fairly difficult to track down in some parts of the world. The 15 bourbons above, however, are within the reach of most of the general public. That’s it, ladies and gents! A well stocked bourbon bar with a starting price tag of $250 bucks for 6 bottles.